Jessica Bollen is an Associate Research Fellow working in the Primary Care Group on the REtirement in ACTion (REACT) project. http://www.bath.ac.uk/health/research/projects/retirement-in-action/ This is a multi-centre randomised control trial (Bath/ Bristol, Birmingham and Devon) to evaluate the efficacy and cost-effectiveness of a group, community based physical exercise programme for people who are beginning to show signs of mobility related disability. With an undergraduate degree in Human Biology and Sport and Exercise Science, Jessica has a keen interest in the human body, how it functions and the changes that can be brought about by exercise. Through working in gyms specialising in rehabilitation, an area of particular interest, Jessica was intrigued by individual’s attitudes to rehabilitation programs and their outcome expectations. This lead her to apply for the PhD she competed in February 2017. The end result was to create a valid and reliable questionnaire for stroke survivors to determine which individuals may be having particular problems conducting their rehabilitation programs and therefore, possibly not obtaining the outcome in terms of recovery they may like to achieve. Jessica took up her post on the REACT study in January 2016. With the focus of the study being the effect and cost effectiveness an exercise programme carried out in a population over the age of 65, and whether it can maintain physical function in a group who may be beginning to experience some difficulity with activities of daily living, this again fits within Jessica's research interests. For her PhD Jessica researched adherence to exercise based rehabilitation programmes in individuals who have had a stroke. The eventual outcome is that a questionnaire will be created which is psychometrically sound. A mixed method approach has been used in developing this questionnaire; interviews and focus groups were conducted with stroke survivors, exercise professionals and, physiotherapists resulting in items for the questionnaire. The subsequent data from the completed questionnaires will undergo Rasch analysis in addition to other statistical tests to assess the validity and reliability of the measure. 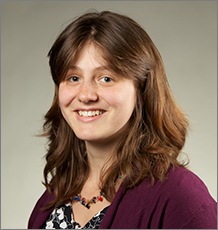 In her 2014-2015 Associate Research Fellow role in the Mental Health Group Jessica researched inflammation responses and the effect they may have on cognition and information processing. In addition to this she is also supporting Leanne Trick a PhD student, aiding with recruitment and administration on a project looking at the role of worry and rumination in predicting depression in people with coronary heart disease. Her current post in as an Associate Research Fellow on the REtirement in ACTion (REACT) study which is a multi-centre (Bath/ Bristol, Birmingham and Devon) randomised control trial. This study is looking at the efficacy and cost effectiveness of a comunity group based exercise programme for people over the age of 65 who may be beginning to experience mobility related disability and having some difficulities with getting in and out of low chairs and climing stairs. Mental Health Group- The role of perseverative negative thinking in predicting depression in people with coronary heart disease: A prospective cohort study. PhD with the PAtH Group- Developing a Stroke Rehabilitation Exercise Adherence Measure (StREAM). A self-report tool assessing the likelihood of adherence. Dickens CM, Bollen J, Trick L, Llewellyn D (2017). The effects of acute inflammation on cognitive functioning and emotional processing in humans: a systematic review of experimental studies. Journal of Psychosomatic Research Full text. Adherence is an important factor contributing to the effectiveness of exercise-based rehabilitation. However, there appears to be a lack of reliable, validated measures to assess self-reported adherence to prescribed but unsupervised home-based rehabilitation exercises.